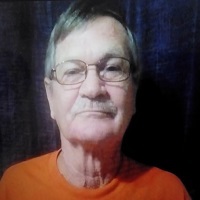 Phillip “Phil” Satterwhite of Lake Wales, Florida passed away Friday, March 15, 2019 at his home in Lake Wales, FL holding the hand of the love of his life Elizabeth or as he loving called her “Boss”. He was born April 16, 1955 in Richmond, Virginia to the late Herman P. and Maureen (Reynolds) Satterwhite. Phil worked in the construction industry in his younger years in Virginia. He moved to Lake Wales, Florida in the late ’80’s with his family from Richmond, Virginia to work maintenance at Georgetown Square apts. and then rotational plastics molding at Duracast on Hwy 27 Lake Wales, Florida. After many years in Lake Wales, Florida he moved his family to Corpus Christi, Texas where he worked as a security officer and a then as a door greeter at Sam’s Club for a number of years before moving back to Lake Wales, Florida. Phil was a kind hearted person who always loved to joke around. Whenever he was around there was always laughter and never a dull moment. Phil was a veteran of the United States Army. He is survived by his wife, the love of his life of 38 years, Elizabeth (Beasley) Satterwhite, their daughter Crystal M. (Satterwhite) Guerrero of Corpus Christi, Texas, stepdaughter Jamie E. Beasley of Orlando, Florida, daughters Dawn M. (Satterwhite) Hubbard of Norton, Virginia and Angela (Satterwhite) Latham of Richmond, Virginia, two brothers, James Satterwhite of Hampton, Virginia, William Satterwhite of San Antonio, Texas and a sister, Lorraine (Satterwhite) Brayer of Rochester, New York. He also is survived by numerous niece’s, nephews, several grandchildren, great-grandchildren, in-laws Mr. and Mrs. J.R. Beasley of Lake Wales, Florida and a life long friend to Phil and Elizabeth, Jane (Holmes/Satterwhite) Ramsey of Corpus Christi, Texas. He loved them all very much. Memorial service will be held 11:00 AM Thursday, May 2nd, 2019 at Holy Spirit Catholic Church in Lake Wales, FL. He will be laid to rest at the foot of his parents and beside his infant daughter from a previous marriage, Jennifer Satterwhite, at Dale Memorial Park in Chesterfield, Virginia.